Retirement Ready or Not…It’s here before you know it! When you reach retirement will you able to continue the lifestyle you are enjoying today? What rate of return do I have to earn on my savings and investments to retire at my current standard of living? What is the minimum amount of money I need to be saving to maintain my current lifestyle in retirement? How long will I have to work before I can retire and maintain my current lifestyle through life expectancy? How much will I have to reduce my current lifestyle so my money will last until life expectancy? At S2 Retirement Solutions we specialize in creating customized plans that enable you to retire without reducing your current lifestyle. We can help you answer these four questions. Please contact our office to schedule your complimentary consultation. PRS is a process that begins by creating an increasing pool of money. The pool is then leveraged through collateralization for personal spending, investment or business opportunities. It is then repaid, at interest. Over time, this process proves to be an efficient use of money, resulting in potentially far greater accumulation than just paying cash or using someone else's money. 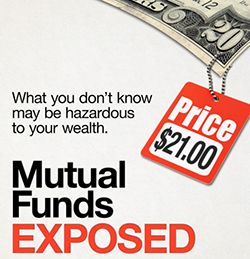 Key to the process is minimization of wealth transfers and accessibility of a safe pool of money. Most people believe that paying cash for personal or business needs is the most cost effective way to make purchases because unlike borrowing, no interest is paid. Interest is, however, given up. 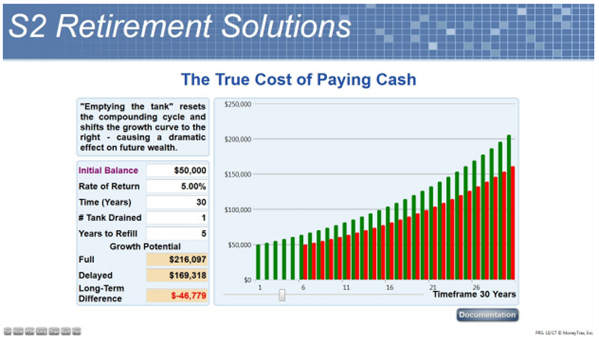 Look at the chart below to see the future effect of paying cash vs. keeping money invested. Draining the tank “resets” compounding and you have to start all over again. As an alternative to paying cash, PRS is a method that allows your money to remain invested even while it is being leveraged for personal or business needs. 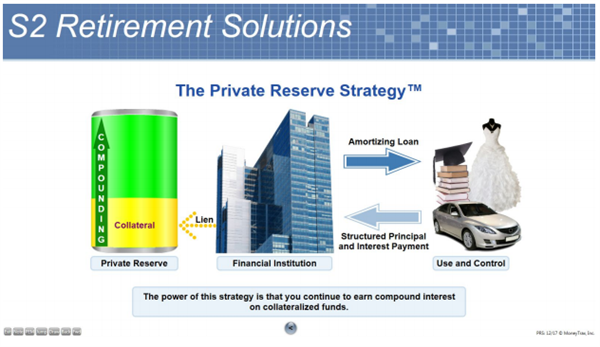 Private Reserve Strategy® is a registered trademark of MoneyTrax, Inc. Used by permission. Why does this result in more money to you over time? 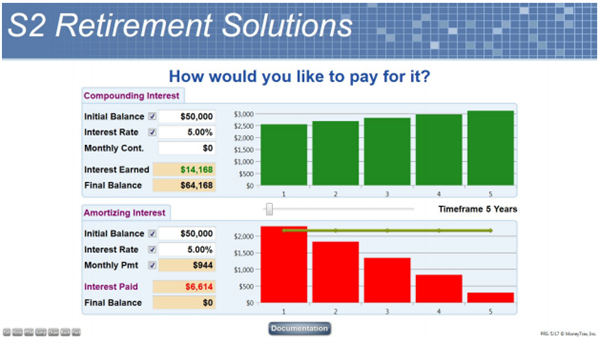 It is because of the relationship between an amortizing loan and compounding interest, as graphically shown below. For the rest of the story please contact me for a complimentary consultation.